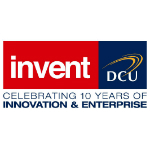 IRDG members DCU Invent are hosting a Collaborate to Innovate event Celebrating 10 Years of Innovation & Enterprise. Learn from the DCU Invent team how you can avail of significant state funding to tap into Dublin City University’s rich research expertise to grow your business. A key feature of this event will be case studies by CEOs of leading Irish companies on how DCU collaborated with them to develop new products and capabilities in such diverse areas as software, engineering, manufacturing, web applications, health, cloud computing and many more.